Arkansas is a gorgeous piece of land in the U.S. that offers a rather low cost of living with home prices which are under the national average, and the median home value in Arkansas stands at $114,200. Apart from affordable house prices, this state also has especially low property taxes. As the nickname would suggest, The Land of Opportunity has plenty of things to offer its residents and visitors in terms of social and local activities as outdoorsy people will never run out of activities in which they can participate, including golfing, hunting, or enjoying the marvelous views of mountains and lakes that can be found throughout the state. Combing through the incredibly huge amount of information about the senior living costs, facilities and benefits that can be found in Arkansas can prove to be a difficult chore. If this is how you got to our page, worry not, as we have gathered all the important information about the senior living options in Arkansas, from independent living to nursing homecare. We also have information about the various types of support systems that have been put in place, including the amenities that each facility has to offer its residents. Additionally, if you have already set your eyes on a particular city or area in Arkansas, feel free to use our list of cities below and find the closes senior living option to the city of your choice. The housing index of Arkansas is surprisingly low, standing at 83.40, which places this state among the most affordable ones to retire to in the nation. For example, one-bedroom apartments in Arkansas go for an average of $540 per month, compared to the national average of $825 while two-bedroom apartments have an average cost of $687 per month, compared to the national average of $1,027. Some of the cities that most seniors choose to retire to are Briarcliff, Salesville, and Little Rock. With that out of the way, we should move on to reviewing the monthly costs of living in Arkansas that seniors looking for retirement can expect to find here. The home healthcare services being provided in Arkansas give seniors the option to live in the comfort of their homes while professional aides provide assistance with housekeeping, daily tasks, and meal preparation. These services have an average monthly cost of approximately $3,432 in Arkansas. Seniors that are still mostly active and independent can use the services provided by adult daycare facilities that are present all over Arkansas. Adult daycare facilities provide seniors with housing during daytime, as well as plenty of social and local activities to stave off boredom and have some fun. The average monthly cost for adult daycare facilities in Arkansas is around $1,733. It is worth noting that while adult daycare does provide some therapeutic and health services, it is in no way a substitute for skilled nursing care, so if seniors need an increase healthcare, they should consider using the services of nursing homes. Arkansas is also home to assisted living facilities which provide assistance to seniors that need an increased degree of care and supervision, as well as help with daily tasks and personal care. Assisted living facilities in Arkansas have an average monthly cost of around $3,013, and this price gives seniors residing here access to personal care and health services. Las but not least, nursing homes have been also established in Arkansas for seniors that need ‘round the clock care and supervision. Semi private rooms have an average monthly cost of $5,171, while seniors looking for more privacy can expect to cash out around $5,779 per month. It doesn’t matter which nursing home you choose, as all of them aside provide their residents with housing at a specialized facility and help with personal care, medication administration, ‘round the clock skilled nursing care, including therapies and rehabilitation. When compared to the national average price for nursing homes, Arkansas’ nursing homes are more affordable. If you’re still looking for more information to see if you want to move to Arkansas and spend your golden years there, keep reading, as we have listed just some of the many benefits that citizens of Arkansas can enjoy in. When you compare the climate of Arkansas with some other states in the nation, the weather here can be tolerable. Winters here are cold, as it can be expected – but not as cold as at other states in the country. While summers can get pretty hot, the temperatures are nowhere near as high as in, let’s say, Arizona. This makes way for plenty of outdoor activities throughout the whole year. Outdoorsy seniors will have lots of fun taking in the fresh air in the great outdoors, as well as taking part in the many local activities and attractions that Arkansas provides for its citizens and visitors alike. People in Arizona have lots of places to visit and things to see there starting from the Ozark Mountains and going through the gorgeous lakes and plethora of activities that take place there. To give you an example of these activities, some of the favorite pastimes of people in Arizona include golfing, fishing, hunting, boating, snorkeling, and much more. The tax system in Arkansas is friendly towards retirees, as Social Security retirement benefits aren’t taxed at all, and the property taxes are pretty low as well. In addition to this, retirement account withdrawals are only partially taxed. It is widely known that Arkansas offers some of the best Southern food in the nation, and this includes barbecue, pie, crawfish, as well as fried catfish! Citizens of Arkansas get an additional pleasure knowing that much of the produce being consumed here is locally grown and fresh, as Arkansas is an agrarian state. There are plenty of senior living options available in Arkansas. Seniors looking for retirement in this state can choose from independent living, assisted living, memory care, and nursing homecare – depending on each individual’s personal needs and wants. Keep reading below and find out what each of these have to offer their residents in terms of amenities and services provided. There are more than 90 independent living facilities operating all over Arkansas. This type of senior care is often the choice of seniors that are still mostly healthy and active, without requiring ‘round the clock skilled nursing care. Independent living facilities in Arkansas have average monthly costs ranging anywhere from as low as $770 to as high as $3,045. For seniors that prefer apartment living, Arkansas is also home to active senior communities for seniors aged 55+ and 65+, depending on the community. Two-bedroom apartments typically have a kitchen, carpets, as well as two full-sized baths. While the size and location of active senior communities may vary, all of them usually offer many useful amenities like gyms, walking and hiking trails, meeting rooms, clubhouses, and pools and jacuzzies – to name a few. Arkansas is home to more than 94 assisted living facilities that can be found throughout the state. Assisted living facilities in Arkansas provide their residents with professional caregivers, quality healthcare, access to social and local activities, and much more in order to make seniors feel as close to home as possible. While the amenities can vary from one facility to another, all of them usually include many useful ones like help with housekeeping, laundry services, transportation, meal preparation, and ‘round the clock safety surveillance. Assisted living facilities in Arkansas have an average monthly cost range that can get as low as $1,400 and up to $5,538, a price mainly determined by many factors like location and services provided. The median monthly cost for assisted living facilities in Arkansas is roughly $3,013 which places Arkansas in the more affordable states in the country. Seniors that have been diagnosed with Alzheimer’s, dementia, or some other memory-related ailment can seek solace at one of the 7 memory care centers operating in Arkansas. The facilities where these centers are located at are designed in such a way as to minimize confusion and make navigation easier, minimizing the risks of seniors wandering off and getting lost. They also provide their residents with customized care, allowing seniors to pass the day with as few frustrations as possible, as memory loss can be quite taxing on the mind. Memory care centers also have ‘round the clock safety surveillance that helps prevent seniors getting lost and fall into an emotional breakdown when they forget where they are or how to go back in their rooms. The average monthly cost for memory centers in Arkansas is roughly $3,792. Arkansas is ranked 6th among the states with highest percentage of seniors living here in relation to the total population. Just in 2000, the senior population aged 60+ made up 18.7% of the total population in the state. 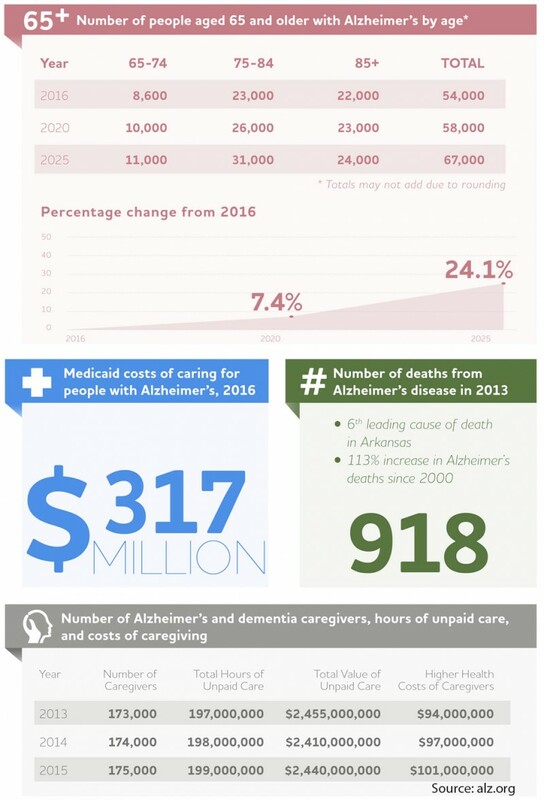 Because of this, Arkansas has made efforts to increase the number od senior living providers such as adult daycare facilities, hospices, and respite care centers, which add up to 548 senior living providers total. The adult daycare facilities in Arkansas operate with the goal of providing seniors with housing during daytime while their primary caregivers are busy tending to their own daily tasks and obligations. They do this by giving them access to social activities that keep them active both physically and mentally. Some of these senior-friendly activities include daily walks and hikes, puzzle solving, aquatics, and art therapy that allows seniors to express themselves emotionally – to name few. Adult daycare facilities found in Arkansas have an average monthly cost of roughly $1,733, making it more expensive than the neighboring states. Hospice care facilities provide terminally ill seniors with everything they require in order to allow them to spend the rest of their days with peace and dignity. The physical and emotional pain brought upon by terminal illnesses is being managed with the help of counseling and medications. Grief counseling is offered to both seniors and their families, helping them overcome these trying times and better cope with the impending death of their loved ones. Arkansas is home to 64 such hospice care facilities, and they have an average annual cost of roughly $55,080. The costs associated with hospice care are usually covered by Medicaid, Medicare, and private insurances, and the administrative staff at these facilities will provide assistance and information on how to qualify for this cost coverage. Providing care for a disabled loved one can be very taxing on the primary caregiver (who is usually a family member that is unpaid), both physically and emotionally. For this reason, respite care facilities have been established all over Arkansas, and they provide temporary housing for seniors while their primary caregiver is busy taking care of his/her obligations or simply needs to take some time off to rest and recuperate as caregiver burnout can be detrimental to their health. Arkansas has 124 such respite care facilities which operate statewide, with average monthly costs ranging from $4,785 to $9,614. This huge difference in price range is due to the degree of care provided to the senior, the location of the facility, and the duration of time that the senior spends there. The care provided can be used for a few hours a day, several days a week, months, or as long as needed. Arkansas has tightly knit families that take care of their loved ones, and because of that, this state has a greater number of respite care facilities than other states of similar size. Assisted-living-facilities.net will help you to find the best quality Assisted Living facilities in Arkansas. You can also find skilled nursing, memory care facilities, retirement communities and assisted living regulations in Arkansas. Here you can compare ratings and check prices and costs for assisted living. Read reviews and more, with the best directory for Assisted Living Facilities. The state of Arkansas has 375 assisted living facilities. If you're searching for information about assisted living communities in Arkansas, you need to look no further! 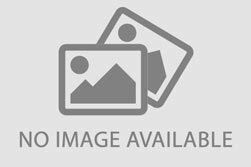 Assisted-living-facilities.net will provide you with the most comprehensive information about the number of 375 assisted living facilities for seniors that are currently available in Arkansas. The assisted living services available in Arkansas include in-home residential and assisted living situations, nursing homes, retirement communities, adult day care, and a range of independent living situations, you can also find Alzheimer's and hospice care. 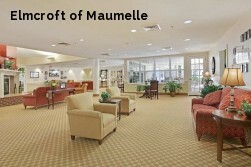 Searching in Assisted-living-facilities.net to find information about Arkansas's assisted living communities is simple! You can use the site in these ways to search and find the assisted living facility or community that is the right one for your needs, and allows you or to your loved one, to live close to friends and family and to enjoy fully. Getting all the support of the amenities that Arkansas has to offer. The average monthly starting costs for assisted living facilities in Arkansas (higher for residents requiring memory care) starts and depends on the level of care the resident. The average monthly cost of assisted living in Arkansas starts from $2,100 to $3,700.